Via Luke Coppen's Morning Catholic must-reads the other day, I came across an inspiring account of A Vibrant, Living Church in China by Elizabeth Hansen. Pope Benedict's 2007 Letter to Chinese Catholics demonstrates the immensely difficult conditions in which the Church in China operates and it is edifying to see the sincere desire of the underground Catholics to avoid discord. He was eventually flayed alive. 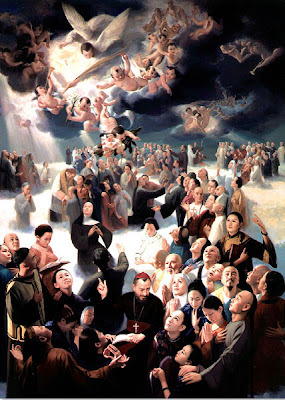 At the Vatican website, you can see a summary for St Augustine Zhao Rong and his companions who died for the faith between 1648 and 1930.